This Saturday I made the most delicious muffins. My home smelled of cinnamon and chocolate. Oh my heavens did it smell good! Nothing beats the smell of muffins or bread baking in the oven. What a wonderful way to start a weekend. I bring you my Chocolate Mocha Muffins. 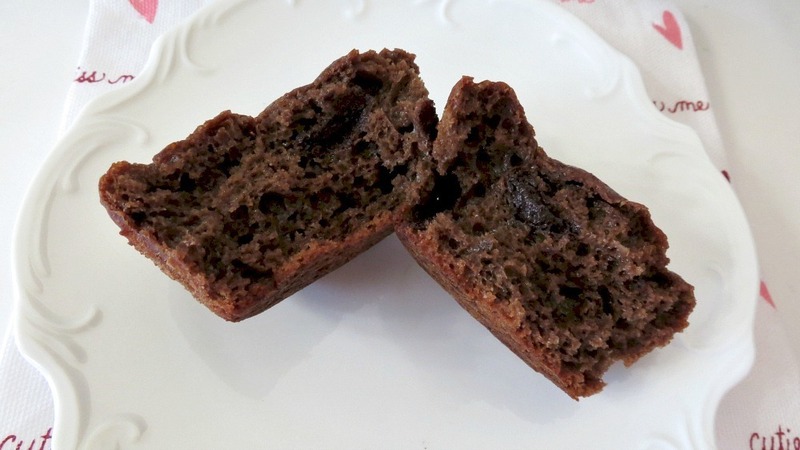 They are healthy, low calorie and so moist and delicious. They are made with apple sauce, yogurt, a pinch of oil for extra moisture and little drops of dark chocolate. I couldn’t ask for a better muffin, especially during my chocolate cravings. 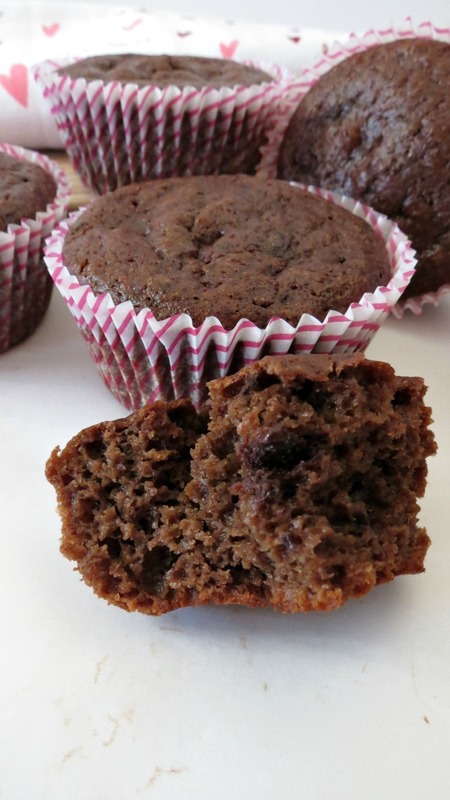 These muffins are also very easy to make. They take about 10 minutes to make and 15 minutes to bake. The only thing that took the longest was waiting for them to cool, so I can take a big bite of this a these little gems. If your at all inclined, these would be wonderful smeared with a little cinnamon butter or cream cheese with cinnamon and a pinch of espresso. I debated about topping my muffins with a cream cheese frosting, but I thought I would keep it simple. I don’t know why, but I don’t make muffins nearly enough. They should be something I make every Saturday. They sure put a smile on my face and my families. 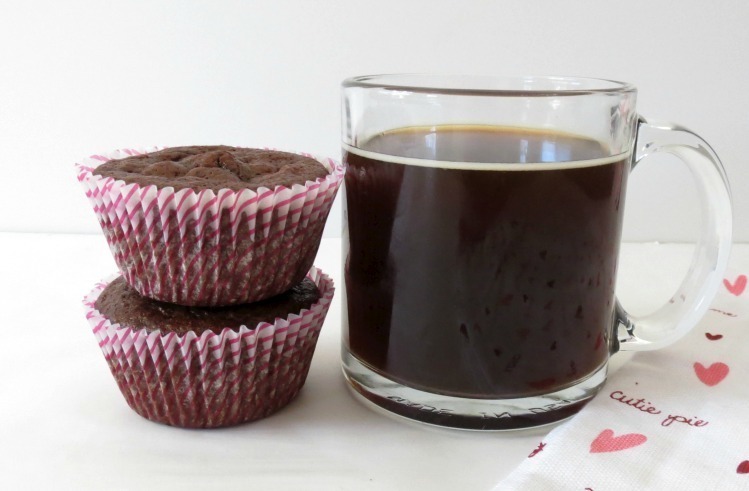 I got the idea for these muffins from my fun coffee drinks. 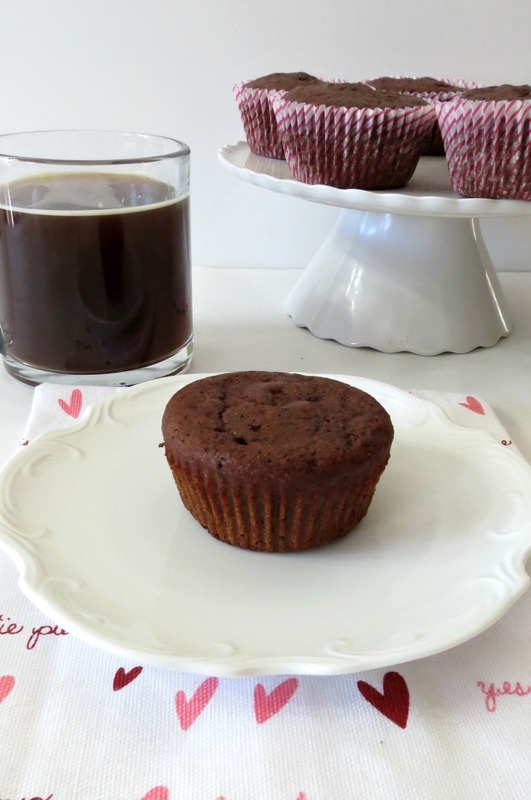 One of my favorite combinations is chocolate and coffee together and I thought why not include that in a muffin? That way I can have a double dose of coffee in the morning. After all I could always use a healthy pick me up. 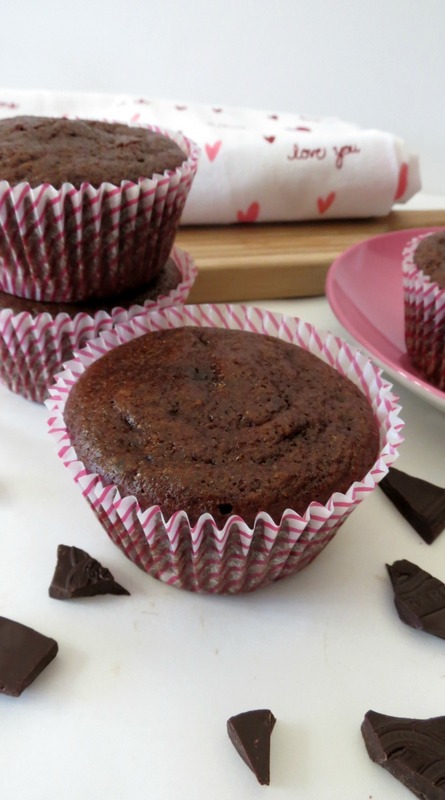 A moist espresso chocolate muffin with a hint cinnamon and dark chocolate chips. 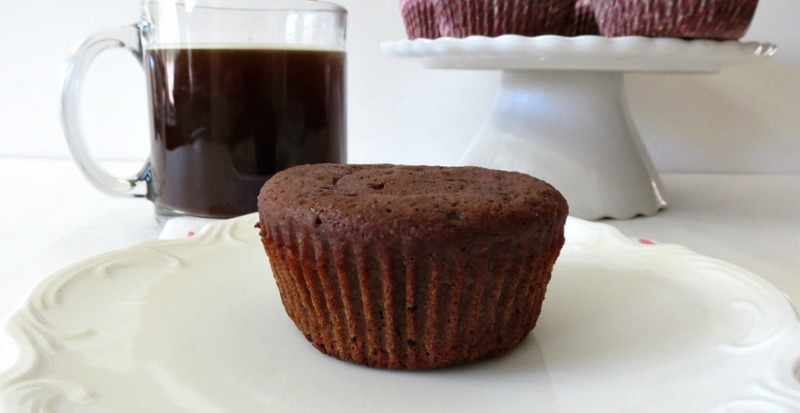 Add paper muffin cups to a muffin pan or spray a muffin pan with cooking spray; set a side. I sprayed the muffin cups too. In a medium bowl add flour, cocoa powder, baking powder and cinnamon; Whisk together. In a large bowl, whisk together yogurt, applesauce, oil and sugar; until combined. Add eggs, vanilla extract, espresso powder and milk; whisk until blended. Add flour mixture to yogurt whisk until combined. 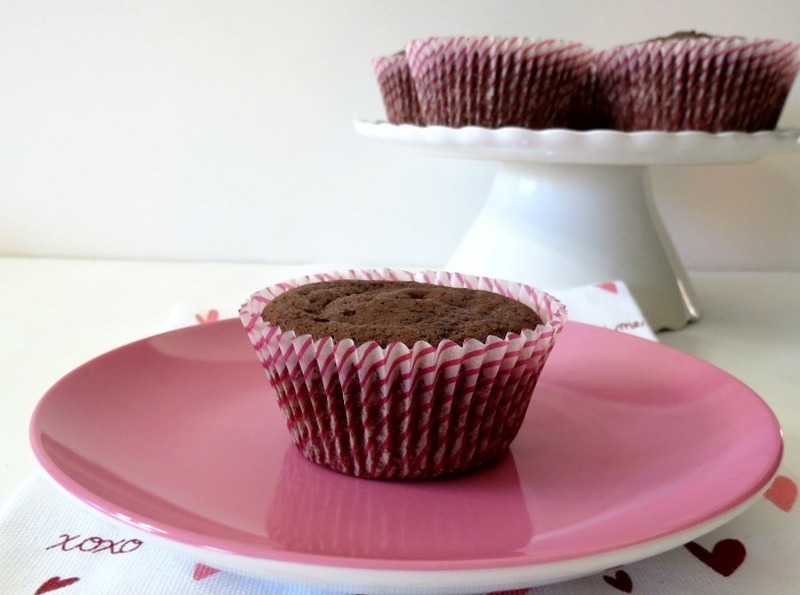 Scoop batter into prepared baking cups. Bake for 15 - 20 minutes. Insert a toothpick, if it comes out clean muffins are done. Since I made 12 muffins and there are only the three of use here, I like to freeze my leftovers. They are prefect for taking to work and sharing with co-workers or simply saving for yourself. All I do is take them out in the morning and by mid morning they are defrosted, soft and simply perfect. Makes for a nice snack! Well my Friends, I have more baking to do today! Trying to prep for next week. One thing I really enjoy about the weekends is making fun goodies and having them through-out the week. mouthwatering. this looks so delicious!! It looks so moist and airy! Something I’ve yet to get better at achieving with my baked goods.. Very yummy and moist looking, I can see why you loved them! You really can’t go wrong with mocha and chocolate! These are so yummy! As you may already know mocha and chocolate are one of my favorite combos! Perfection in a little muffin liner. Oh, your muffins are so delicious!!! Thanks so much for sharing the recipe – my kids and my husband love them. I am so glad you liked them. Thank you for telling me so! You made my day!